Sell to Us Price: $1,483.93 each. Mexico won its independence from Spain in 1821. 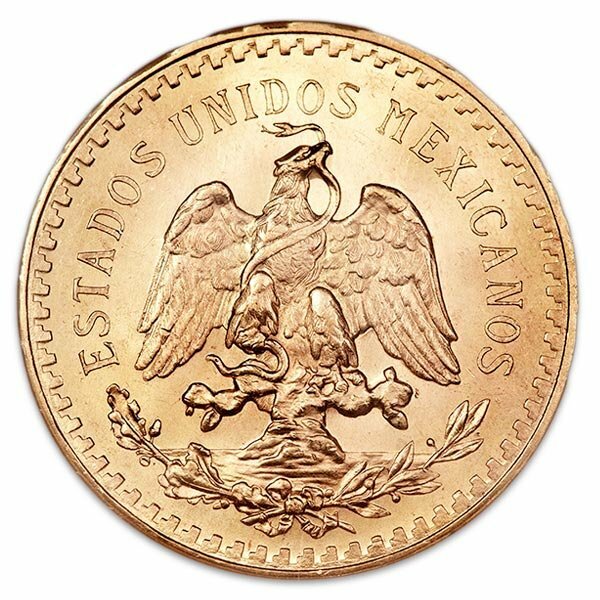 To commemorate the 100th anniversary of that event, the Mexican Mint began production of a gold coin called the "Centenario". The oversized coin features the Angel of Independence who carries a laurel wreath in her right hand and broken chains in her left. The reverse side carries Mexico's coat of arms which includes a golden eagle perched upon a cactus and a serpent caught in its beak. This artist responsible for the coin's design is Emilio del Moral. "1821" on the obverse reflects the date of independence. The second year shown is the date the coin was minted, but beginning in 1949 all coins were produced have the a 1947 date. Many of the coins now trading were actually produced between 1949 - 1972 (nearly 4 million coins) and 1996 (nearly 8 million). These coins, again, carry the 1947 date. 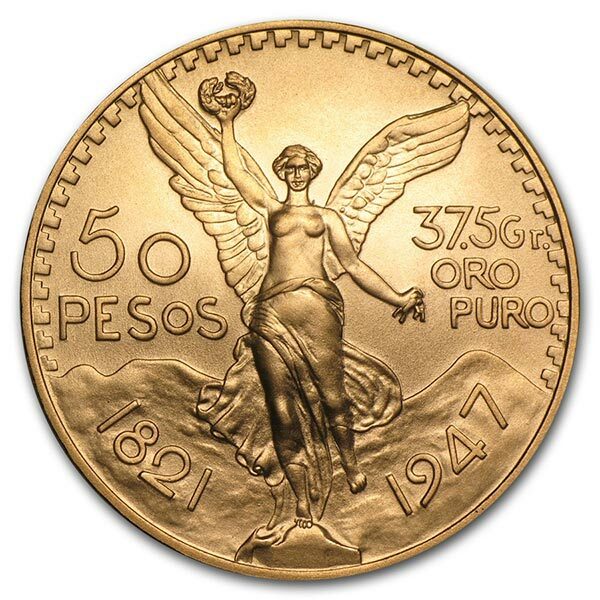 The beautiful Centenario design was later used in the "Libertad" Series of 1 oz gold and silver bullion coins. Dates shipped will be random and subject to inventory availability. Our current buy pricing is $1,483.93 each and we will buy up to 10 ounces at this price. Simply call us on any weekday to lock pricing at 1-800-800-1865. 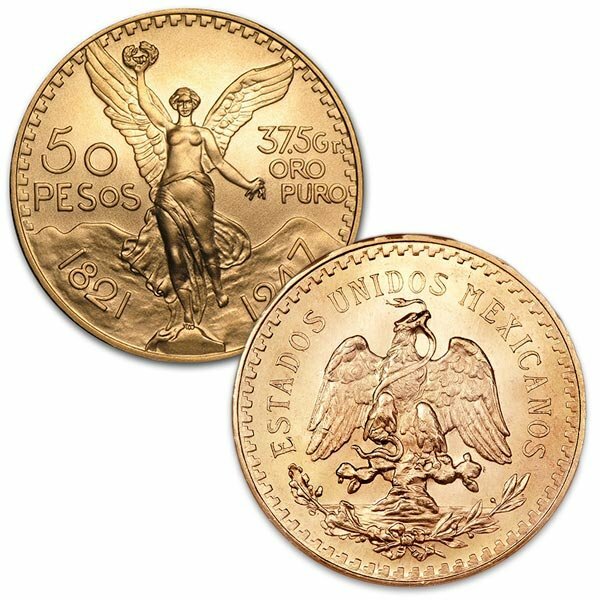 You can now sell your Mexican 50 Peso, 1.2057 Ounces Gold Content back to us online, at a price of $1,483.93 each!